DTCC is exploring several ways to modernize the settlement system to achieve additional operational and capital efficiencies. In September 2017, DTCC, Investment Company Institute (ICI) and the Securities Industry and Financial Markets Association (SIFMA), helped usher in the transition to a standard settlement timeframe of trade date plus two days (T+2) for in-scope securities, including U.S. equity, corporate and municipal bond, and unit investment trust (UIT) trades, reducing operational and systemic risks to the U.S. marketplace. In its recent white paper, Modernizing the U.S. Equity Post-Trade Infrastructure, DTCC puts forth two innovative proposals — settlement optimization and accelerated settlement – which would enable members of The National Securities Clearing Corporation (NSCC) and The Depository Trust Company (DTC) to improve workflows, optimize capital and reduce risk, further reducing settlement processing inefficiencies through automation. If both are implemented, DTC and NSCC members could get to a settlement cycle of less than T+2 — potentially to T0-and-a-half — without removing a calendar day from the industry standard settlement cycle, while still maintain the significant benefits of centralized netting and risk management. Each component will be explored in greater detail in this continuing series. In Part I, we discussed Night Cycle Reengineering. In Part II, we explore the proposal for an Intraday Settlement Slice. 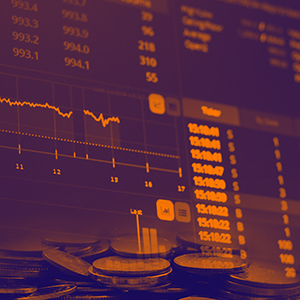 In the financial industry, settlement is generally the term applied to the exchange of payment between the buyer and a seller of a security and is the final step in the lifecycle of a securities transaction. Currently, settlement for all valued activity processed by DTC occurs just once daily, at the end of the day. However, rather than having only one single settlement at the end of the day, DTC and NSCC have proposed in the White Paper to include a new, additional settlement slice in the morning. DTCC’s proposed new morning settlement slice would essentially mirror the current end of day settlement process. DTC plans to produce “morning final figures” based on activity processed in the reengineered night-cycle, leverage the current settling bank structure and utilize the Fed’s Net Settlement Service (NSS). DTC and NSCC post debits and credits for the various transactions they process throughout the day into the settlement system. At approximately 3:45 p.m. EST, DTC no longer permits these numbers to change and posts the final figure of each client’s net DTC and NSCC legal entity debit or credit. DTC’s settlement system rolls up these balances to a client’s settling bank. Each settling bank acknowledges the net-net balance presented, or refuses to settle on behalf of a client. Once all settling bank balances have been acknowledged, DTC, through the Federal Reserve’s Net Settlement Service (NSS), posts the applicable net-net debit or credit to the settling banks. Firms for which a settling bank refuses to settle maintain primary responsibility for their settlement obligations, which they must satisfy via Fedwire. Once all payments are confirmed by the Federal Reserve, settlement is complete. For DTC and NSCC members, a settlement slice would provide intraday cross-endorsement of each member’s DTC and NSCC settlement balances reducing the need for members to send funds to DTC intraday. A morning settlement slice would also create other significant liquidity benefits, allowing for the movement of funds out of DTC and NSCC much earlier in the day. Intraday settlement would also give members access to security positions earlier in the day to promote settlement finality. Once all credits are disbursed and all debits are collected, DTC would relinquish its lien on the positions associated with the settled transactions and NSCC would remove the settled CNS transactions from the pool of marginable positions, thereby significantly reducing members’ NSCC margin requirements. Currently, under Basel Committee for Banking Supervision 144 – Principles for Sound Liquidity Risk Management and Supervision, principal 8, certain NSCC and DTC members cannot take projected credits into account when managing their intraday liquidity positions and risk calculations since DTC money settlement does not occur until the end of the day. With an additional morning settlement slice, members would receive the money associated with the projected credits, and would be able to use these credits as a source of liquidity. “T+1 settlement, coupled with a morning settlement slice, represents an end-state where the risk window between trade date and settlement date is compressed as much as possible while still persevering the very important benefits of central clearing,” Abel said. Abel said DTCC is working quickly to create some early wins for clients and industry stakeholders, and has targeted implementation dates in 2019 for both night cycle reengineering and the intraday settlement slice. “By staying aggressive, we believe the industry can achieve the significant benefits of accelerated settlement while avoiding much of the foundational work that was needed for the move to T+2,” he said.